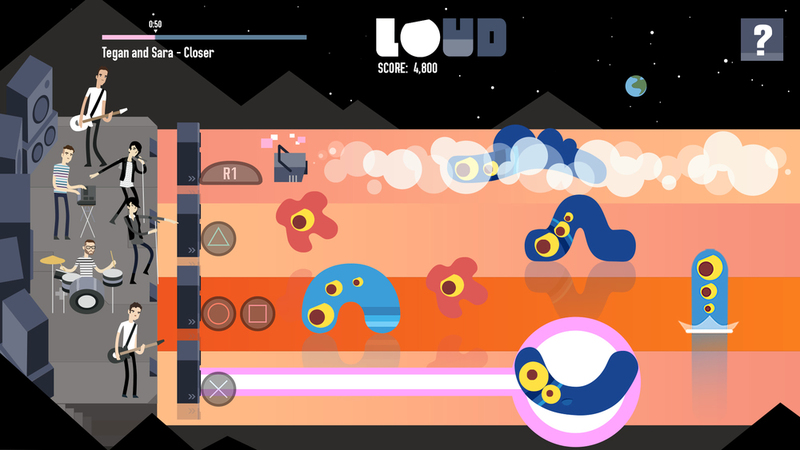 Last we heard of Loud on Planet X, they had just completed a successful Kickstarter, having raised over $50,000 dollars towards making their game. And now, the game will be out in a couple of weeks! 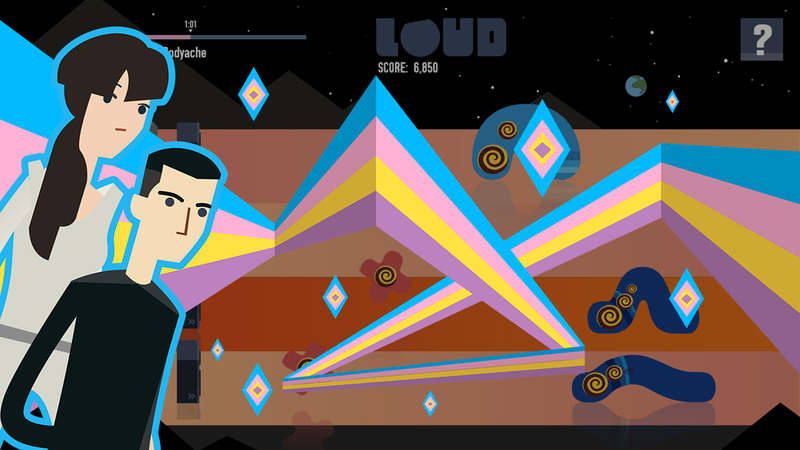 Choose from a cross-section of top current indie music artists, then defend your stage from hordes of quirky aliens by tapping to the music and using a fun assortment of makeshift weapons like speakers, strobe lights, fog machines, amplifiers, bouncers and custom special attacks! 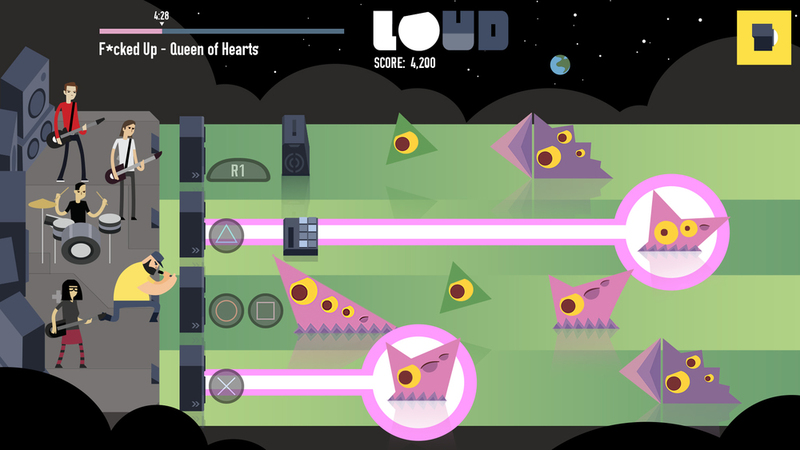 LOUD on Planet X is an exciting new indie alternative to Rock Band or Guitar Hero with a splash of Plants vs Zombies – a new hybrid of rhythm game and classic shooter with tower defence elements. Before the games launch, you can follow them on Twitter. They've also promised to announce "3 top international artists" the week of the games launch.